During his new film. 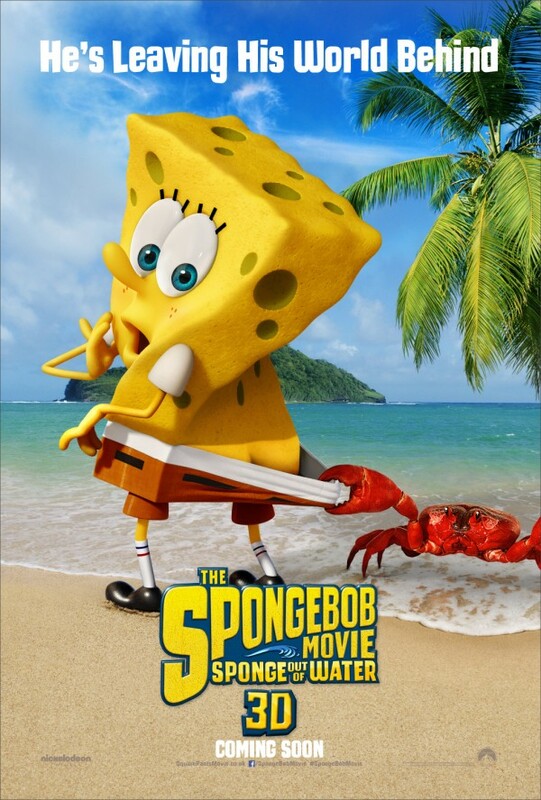 Spongebob Squarepants will pop out of his flat, undersea dominion and become a fully 3D visitor to our live action world. Judging from the first poster, he’s going to look pretty groovy while he’s doing it. The 3-d for that poster doesn't look that bad. If that's what the CGI will look like, I honestly won't be too bothered. Is this the site they're going to use? I was kinda hoping the official poster would feature the 2d animation not the CGI. It makes it seem like the CG will be the main focus, I guess it's for marketing since CG films make a lot more money then 2d animated films nowadays which is why they barley exist now. At least the CG doesn't look too bad. Kinda reminds me of how he looks in the video games but let's hope for plenty of 2D animation too. The CG seems "meh" to me. Yeah, I would have liked to see 2D as well. But at least we now know what the CGI looks like. I'm guessing the 2D parts will look similar to the first movie since there's lots of Sherm Cohen drawings. I don't like the word "the" being in the title without the number 2. It might make people think this is the first movie and kids growing up now might not even know about the first one at all. The 3D model looks pretty good, though. I don't mind the characters being CG, but the whole idea of it probably only being done because there's little to no marketplace for traditional animation really really bothers me. Hopefully the CG is still a small part and they're putting it in all their commercials for marketing reasons and the actual film will treat people to a really good amount of amazing traditional animation. I wonder how much the scene-specific emotions from the storyboards will be closely replicated with the CG models. I hope we can see Sherm Cohen's influence even in the CG scenes with the expressions and such. Wow, I'm definitely NOT worried about the CG-I at all now!!! It's awesome!!! Also not concerned about the name, the way they designed it and organized it was also awesome!!! I'm also sure the beach will be nice, that also looks awesome. oh my god it looks great i am a little concern on the name but not much i think this movie is going to be great. I'm pretty satisfied with that 3D in the poster. If that's what the cgi looks like it will be good, I was really hoping they didn't do some low budget animation but this looks like it will work very well. Remember what the creators Paul Tibbitt and Steve Hillenburg said its MOSTLY 2D. I can't wait for the 2D. Nothing like a good old 2D film. They're an endangered species. I also heard they're planning a 2D theatrical Scooby Doo film and a 2D Flintstones film. CGI is getting mediocre. But yeah, no, this is good. Finally a real poster. Yes, even with the CGI parts the fact that any of this movie is in 2D makes it a rare breed nowadays. I would have preferred wholly 2D like the first movie but I'm grateful that it's mostly 2D at least. Did anyone notice the weird proportions? 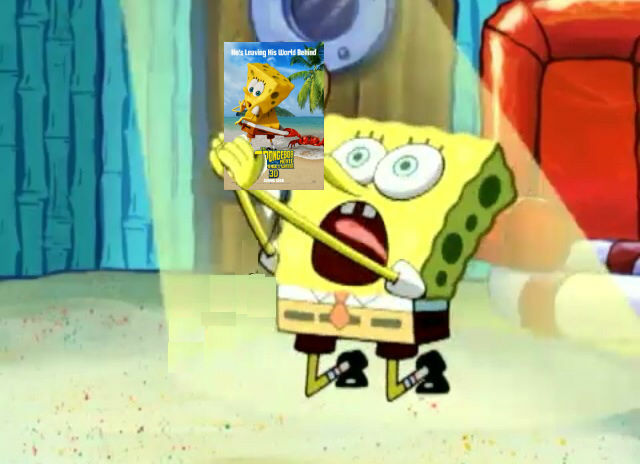 I mean, SpongeBob isn't a tiny little sponge-sized person out of water, he's the size of an actual human! A clip of some filming yesterday from Instagram. I'm pretty certain that "kbay" = Kāneʻohe Bay, Hawaii. I AM GOING TO EXPLODE INTO A MILLION PIECES.